Curiosity has brought me more satisfaction than trouble, so I usually indulge it. When Lorie Kane rose to prominence on the LPGA Tour, I wondered how a young woman from a small island in northeastern Canada came to be so good? 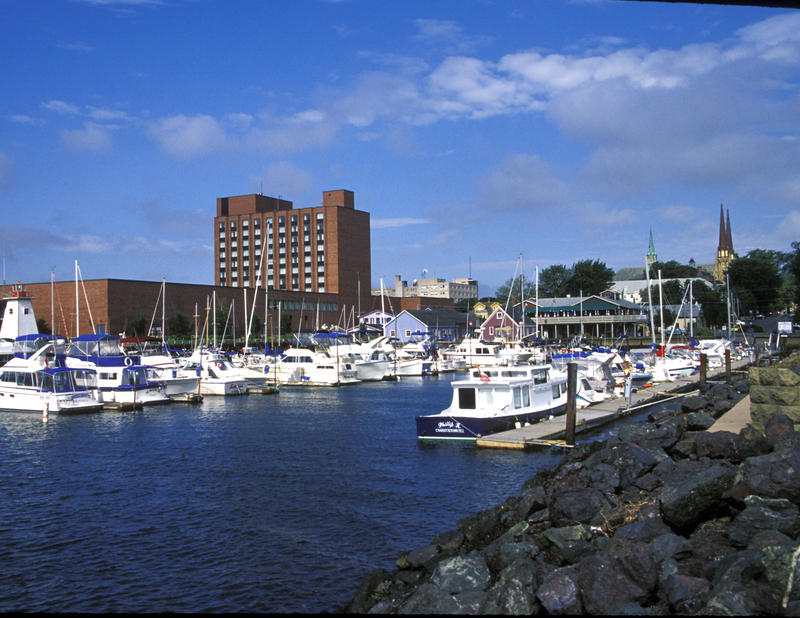 Could it be the courses she played at home?Determined to find out, a friend and I caught a plane to Charlottetown, the capital of Prince Edward Island, Canada’s smallest province. The island was only accessible by air or boat until 1997, when an eight-mile-long bridge to the New Brunswick mainland was opened. 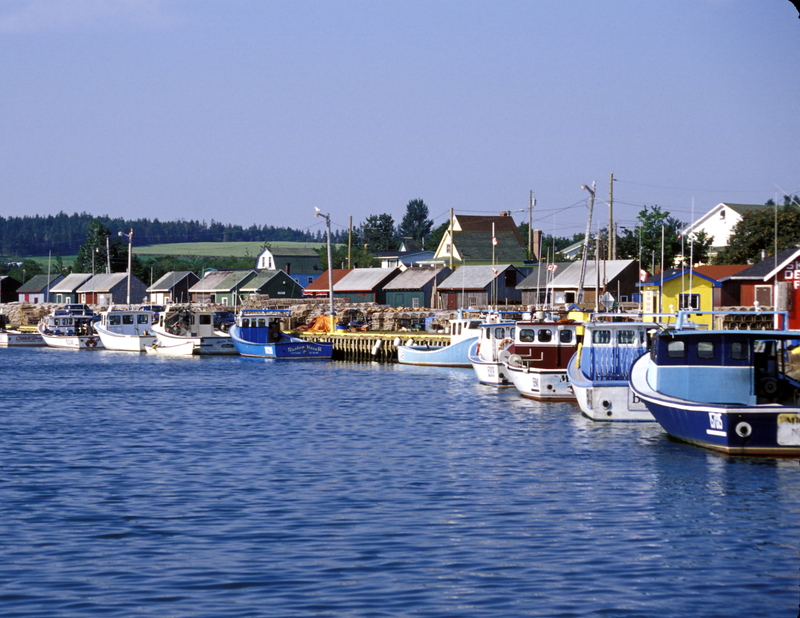 We soon discovered that the pace on PEI is attuned to the island’s three major industries – fishing, farming and tourism. You don’t rush any of these. For about six months of the year the leisurely lifestyle and pastoral setting draw legions of visitors from the northeast U.S. Some have been coming here for generations to stay at colorful inns and bed-and-breakfasts near the beaches and to play the seaside courses. We had our choice of more than 20 layouts, including one that Golf Digest once listed in North America’s top ten, several in Canada’s top ten, and of course, Lori Kane’s home venue. There’s a lot of quality golf concentrated on an island twice as big as Rhode Island but with fewer residents (138,000) than the city of Providence. By week’s end we found that tee times are easy to arrange, and greens fees are a steal ($45US or less). Lodging is equally inexpensive, and dining (on great local seafood and produce) is quite reasonable. Over breakfast in Charlottetown’s Fairholm National Historic Inn (a restored mansion near the harbor and a plethora of fine seafood restaurants) I asked the waitress if she had read Anne of Green Gables, written by islander L.M. Montgomery. She blushed, and admitted she had not. Locals apparently don’t share the rest of the world’s continuing fascination with the 1900s children’s classic that put PEI on the map. The book is a favorite of Japanese youngsters, and thousands of their families make the pilgrimage to PEI and Green Gables every year. In Japan, American builders do a brisk business constructing Green Gables-style houses. Curiosity struck again. We briefly joined the international throng filing through the reconstructed farmhouse and barn at Green Gables in Prince Edward Island National Park. 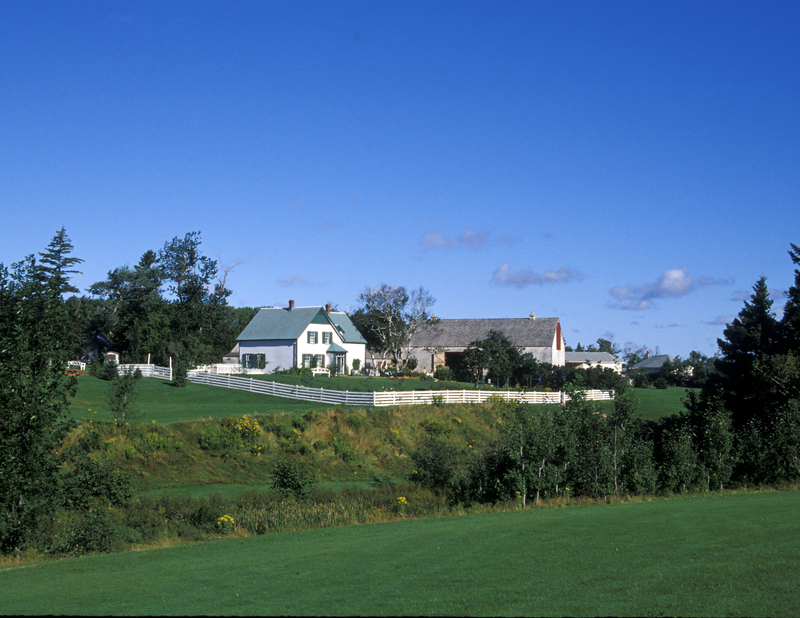 But we were more interested in what lay beyond the farm’s garden gate–the eleventh hole of Green Gables Golf Course, one of six courses we had decided to play. The Green Gables Golf Course, a 6,459-yard, par 72 Stanley Thompson design built in 1939 and revamped in the 1980s, is a relatively open track bordered by mature hardwoods. The course is touted as a long-time area favorite, but this must be due to its association with the historic farm and proximity to the stunning sand dunes of the national park. It can’t measure up to the newer venues, but Green Gables has some memorable holes are on the back nine, where the Lake of Shining Waters comes into play. The signature sixteenth hole is a lovely 181-yard par three which crosses a corner of the lake. We stopped off at one of the many village halls offering a feast of fresh local lobster, then spent the balmy evening at the Charlottetown Driving Park, a harness track near the center of town. Horse racing here is a family affair, with grandfathers and teenagers competing in spindly-wheeled sulkies while town folk cheer from the grandstand. The next morning, a 25-minute drive took us past bucolic farms with buildings painted in bold hues common to the Caribbean, and equally colorful fishing villages mirrored in quiet harbors. All commercial signs are small, uniform, and black-and-white, so the view is unsullied. On the windswept north coast we found what we’d been looking for – a course that would stick in our memories. In 1998, when the Links at Crowbush Cove (800-377-TEES) was named one of Golf Digest’s top ten places to play in North America, the provincial government capitalized on the attention and began upgrading government-owned courses and encouraging private development of new ones. As a result, the island’s standing as a golf destination soared. Crowbush, a 1994 Thomas McBroom creation playing 6,901 yards from the back tees, has competition on the island, but it is still one of a kind. It looks as if it were scooped from the British Isles and set down on the island. Eight holes skirt spectacular sand dunes and eight holes involve water, usually in the form of salty marshes. Fairways bordered in tall brown grasses pitch and roll like frozen green waves, their surfaces pocked with deep, heavy-lipped pot bunkers. As we stood on the back tee of the par three sixth hole, trees broke the wind off the ocean, but we could see the flag whipping on the narrow green 191 yards away. Marshland in front of the tee drains into a lake left of the green. Bunkers guard the right and rear. Aiming 20 yards to the right worked for us the first round, but the wind was entirely different the next day. The back tee of the eleventh hole is perched high on a dune, providing a pretty view of the 18th hole as well as the immediate danger ahead. The second shot on this par five calls for a water carry, followed by an approach shot over deep bunkers or through a narrow run-up. The par-four sixteenth hole begins over water, then climbs to a small contoured green ringed by bunkers. Looking back from the green, you can see ocean stretching to the horizon. After playing we fortified ourselves with big buckets of steamed mussels, an island specialty, in the pretty colonial-style clubhouse. The course that rivals Crowbush for beauty and toughness is Dundarave (800-377-8336). This 1999 Michael Hurdzan-Dan Frye track lies next to the venerable Brudenell River Course (where Lorie Kane learned to play) in the Brudenell Golf Resort. Kane’s first coach, Anne Chouinard, heads the Dundarave Golf Academy. Like Crowbush, Dundarave is naturally wild, with knee-deep brown grasses, deep wooded ravines and bunkers filled with indigenous red sand. Despite its beauty, Dundarave is perhaps too severe for the average golfer the resort draws. Landing areas are usually generous, but good strokes may be punished unduly by a minefield of deep bunkers on every hole. The route stretches 7,284 yards from the back tees, with other options being 6,823, 6,252, 5,607 or 4,997 yards. The toughest par three is the 237-yard seventh hole, which has a stingy green ringed with deep bunkers in the middle of a windswept field of grass. The daunting eighth hole is a par four which crosses a deep gully, then doglegs to a tiny, fast green on the river’s edge. The finishing hole is a 542-yard par-five with a dozen well-placed bunkers. It’s called “Victory Chimes,” but Coup de Grace might be more appropriate. The Brudenell River Course (800-377-8336), a traditional layout with flatter fairways and moderate bunkers, is a sharp contrast to Dundarave, but its wind and dense rough take their toll. 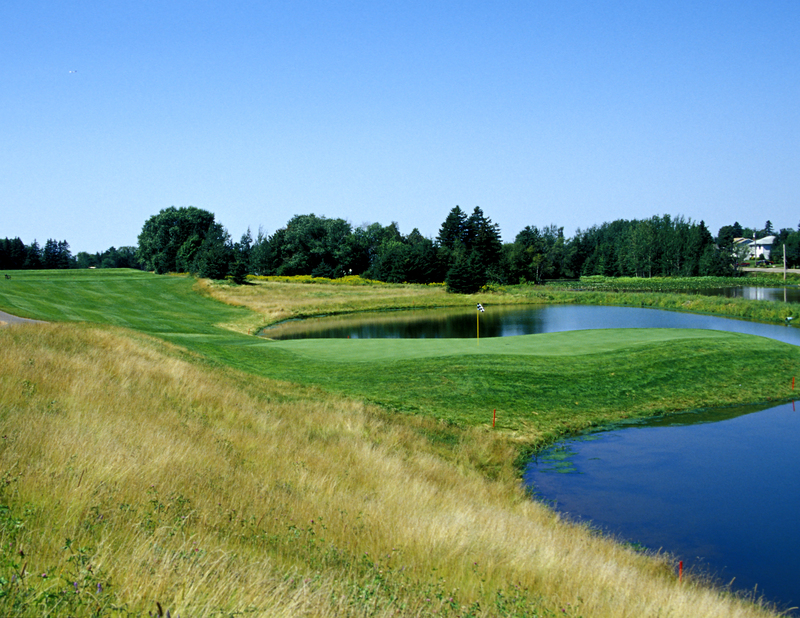 A longtime stop on the Canadian pro tour, the 6,591-yard course hugs the river and is susceptible to wind. Swirling gusts are the norm on the 163-yard fifth hole, called “Ink Pot,” and the tenth hole, “Shimmering Waters,” a 143-yard beauty with water on the front and left. We stayed up the coast from the Brudenell River Resort at the Inn at Spry Point, an intimate little hotel on an isolated spit of land. The comfort, service and ambiance were first class, as was the food—memorable entrees such as almond crusted salmon with a creamy dill sauce, and desserts made with fresh local blueberries. 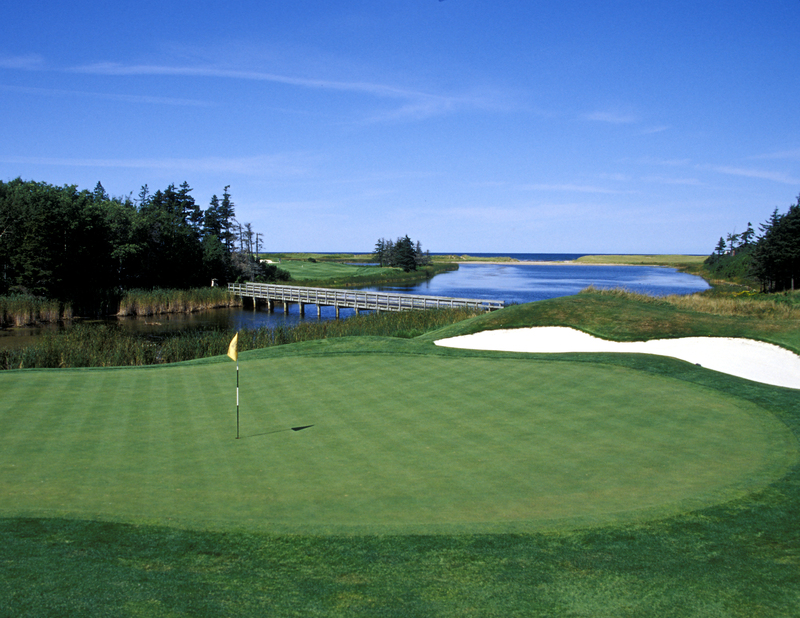 Our PEI golf sampler included a couple of courses near Charlottetown. The venerable Stanhope Golf Club zigzags 6,600 yards across a hillside overlooking scenic Covehead Bay. Wind off the water constantly buffets its unassuming, open fairways. Every approach shot and most putts are memorable, because the undulating cloverleaf greens are usually set in bowls created by High Fox Meadow Hole 7. 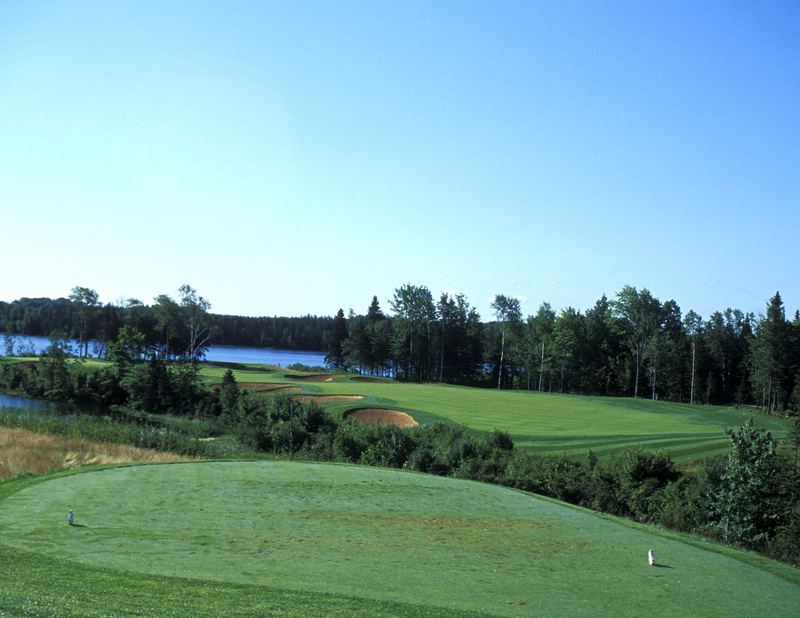 Fox Meadow Golf and Country Club is a 6,836-yard Rob Heaslip creation with views of Charlottetown Harbor. Fairways are bordered by natural vegetation such as clover and red-blooming crown vetch that can be as tough to escape as Scotland’s gorse. Many of the greens are crowned and shed balls as adroitly as Pinehurst No. 2. Swirling winds are a constant factor, and tend to kill those uphill approach shots. A couple of new courses I’m anxious to sample are Glasgow Hills, a Les Furber design with views of the River Clyde and the Gulf of St. Lawrence; and Eagles Glenn, where architect Graham Cooke has built 18 of a proposed 27 holes on 300 scenic acres in Cavendish Beach. People of Scottish descent make up the largest ethnic group on PEI, and it takes little curiosity to discover evidence of these roots. The island has an official dress tartan, a Piping College for aspiring bagpipers, town names such as Shamrock and New Glasgow–and a selection of golf courses that would make the forefathers proud. For more information, visit www.golfpei.com. 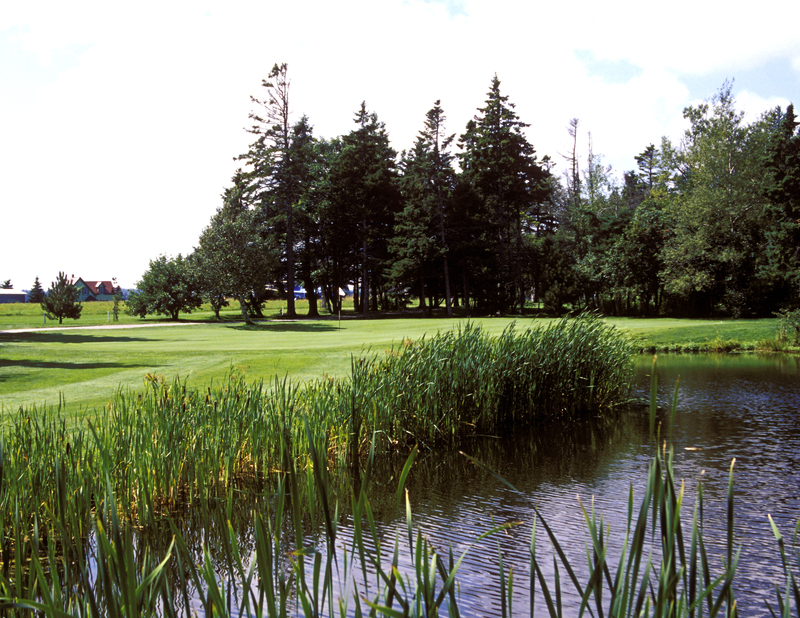 For golf and visitor’s guides, call 888-PEI-PLAY or visit www.peiplay.com.